Product prices and availability are accurate as of 2019-04-18 18:15:25 EDT and are subject to change. Any price and availability information displayed on http://www.amazon.com/ at the time of purchase will apply to the purchase of this product. The quickest way to learn - guaranteed! Instant Immersion uses natural image association techniques to help you learn as easily as you learned your first language. You will have more fun, save money and reach your goals faster - guaranteed! Whether you’re learning for school, work or your next vacation, Instant Immersion’s fun and effective exercises, interactive activities and challenging quizzes will help you achieve language fluency in less time than other language systems. You will think, read and speak your new language with ease. English Levels 1, 2 & 3 includes three levels of interactive language learning on a DVD-ROM, the complete audio course for transferring to your iPod or MP3 player, and a printable picture dictionary. Bonus content includes an interactive DVD and the Who is Oscar Lake? 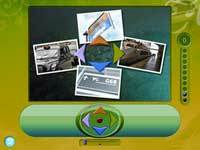 computer mystery game. Includes a six-month money-back guarantee! Level 1 teaches you the essential words and phrases so you can get around with ease. Learn more complex phrases in Level 2, plus pronunciation and how to converse. In Level 3, immerse yourself in advanced conversations, refine your language skills and retain what you learned. Why does Rosetta Stone cost so much more? Because we refuse to spend millions on advertising. So instead of paying for their expensive ad campaign, try Instant Immersion Levels 1, 2 & 3. We guarantee you’ll be satisfied or we’ll give you your money back! Instant Immersion uses natural image-association techniques to help you learn as easily as you learned your first language. With Instant Immersion, you will have more fun, save money and reach your goals faster -- guaranteed*! Whether you are learning a new language for school, work or your next vacation, Instant Immersion's fun and effective exercises, interactive activities and challenging quizzes will help you achieve language fluency in less time than other language systems. You will think, read and speak your new language with ease. Level 1 teaches you the essential words and phrases you will need in order to get around with ease. Learn basic vocabulary and everyday phrases in no time! 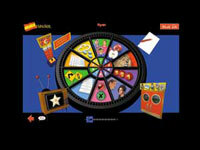 Topics include first words, food, colors, phrases, body parts, numbers, time, shopping, countries and more. 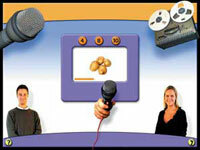 Practice with virtual flashcards, play games and use the record-and-playback feature to practice pronunciation. Also includes a printable picture dictionary. Learn more complex phrases, correct pronunciation and how to converse in your new language. Talk about sports and hobbies, family, friends and work! Other topics include the alphabet, greetings, restaurant, hotel, business, technology, computers, emergencies and travel. Quiz yourself, record your progress or print out the dictionary to practice each subject on the go. Reach your language learning goals by immersing yourself in advanced conversations that will refine your language skills and help you retain what you learned. Topics include people, food, animals, numbers, seasons, business and career, marketing and communications, IT, banking and more. Practice with image association, game show-style quizzes and story reconstruction, then test yourself and perfect your pronunciation with the recordable voice feature. Also includes a printable dictionary. Easily transfer your lessons to your iPod or other MP3 player for on-the-go learning. Practice in the car, at the doctor's office or on a plane! Watch and interact with video of real-world conversations. Ease your fears about talking with native speakers by practicing with Instant Immersion! Take advantage of every free minute to learn your new language! * You may return Instant Immersion Levels 1, 2 & 3 with a valid receipt directly to TOPICS Entertainment up to six months from the original date of purchase. See http://support.topics-ent.com for details.